Xiaogang (Marshall) Ma supports data interoperability and research reproducibility. Xiaogang (Marshall) Ma is an assistant professor of computer science at the University of Idaho. He received his Ph.D. degree of Earth Systems Science and GIScience from University of Twente, Netherlands in 2011. Before joining UIdaho he was an associate research scientist of Data Science and Semantic eScience at Rensselaer Polytechnic Institute. 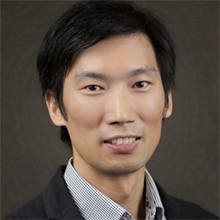 His research focuses on deploying data science in the Semantic Web to support cross-disciplinary collaboration and scientific discovery, with broad interests in participatory knowledge engineering, data interoperability and provenance, and visualized exploratory analysis of Big and Small Data.